Persistent cookies stay on your computer or device after the browser has been closed and last for the period of time specified in the cookie. These persistent cookies may be checked each time you visit the site where the cookie was generated or, in the case of third-party cookies, from another site that also uses the same service. What has changed and how will it affect me? We have always used cookies to provide a secure and efficient website experience for our customers. As part of a change in legislation, all websites are now required to provide additional information on what cookies are, and how and why they are used. Do the cookies set by Gocompare.com store my personal information? The information you provide us with is stored securely and is not collected or stored in any cookies. Cookies can't access your computer, or read any personal material you may have stored. Our cookies are not able to install anything harmful on your computer. In fact, the content of most cookies is a random string of numbers and letters that are only used as an identifier. Do cookies affect my privacy and how you use my data? We want to ensure that we're clear about your privacy when using our website. We know that you'd expect nothing less from us. Can I still use Gocompare.com if I block all cookies? If you choose to block all cookies, our site will not function as intended and you will not be able to use or access many of the services we provide. If you have blocked all cookies and wish to make full use of the features and services we offer, you will need to enable your cookies. You can do this in your browser. Our managing cookies section will help you with this. 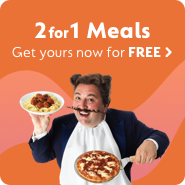 How can I find out what cookies are set by Gocompare.com? Can I contact you if I have any further questions?